A. Configure Field-Level Security - Ensures your field officers can access TaroWorks features. C. Configure Object Permissions - Grants this profile access to critical objects needed to use the TaroWorks app. In addition to the permissions mentioned below, you will need to grant access to other custom objects for your data structure. D. Set Session and Password Policies - Salesforce gives you the ability to set security policies for your field officers. It is possible to increase security by timing out sessions quickly and enforcing a high strength password. E. Enable Apex Class Access - Apex is a programming language used to add business logic to applications such as TaroWorks in Salesforce. F. Enable Visual Force Page Access - Visualforce is a framework that allows developers to build sophisticated, custom user interfaces for applications such as TaroWorks. Complete steps in Article 01 through 05 of this series. Log in to Salesforce as a System Administrator. 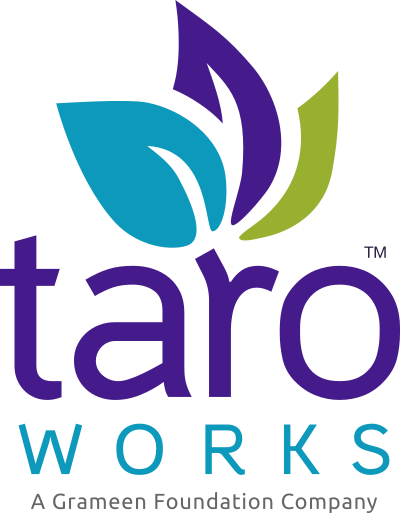 Click on TaroWorks Partner User. Under Custom Field-Level Security click the View link next to Answer. Note: It may be easier to open the View link in another browser tab (Right Click) as you will need do this many times. Check all the boxes in the Visible column. Click Back to Profile or just close the tab if you opened a new tab for this. Continuing from A, click the Edit button at the top. Check API Enabled under Administrative Permissions. Scroll down to Custom Object Permissions. To add permissions (usually Read, Create, Edit) to other objects that the field staff need access to check the boxes accordingly. For example if you plan for them to register farmers, then they should have at least Read and Create permissions on the Farmer object. NOTE: Salesforce may limit you to a number of custom objects to enable for this profile. (Usually ten custom objects not already in a managed package.) You may find that cloning your profile later helpful. Continuing from C, while still editing, scroll to the Session Timeout section. Set Timeout value to 12 hours. Set User passwords expire in to "Never Expires". Set Enforce passwords history to "No passwords remembered". Set Minimum passwords length to "5 characters". Set Passwords complexity requirement to "No restriction". Set Passwords question requirement to "Cannot contain password". Set Maximum invalid login attempts to "No Limit". Set Lockout effective period to "15 minutes". Under Enabled Apex Class Access, Click Edit. Enable the Apex Classes below by listing the class in the Enabled Apex Classes box. To move a class, select the item from the Available Apex Classes box, then click the Add button. Under Enabled Visualforce Page Access, click the Edit button. Enable the Visualforce Pages below by listing the class in the Enabled Visualforce Pages box. To move a page, select the item from the Available Apex Classes box, then click the Add button. Congratulations, you have setup the profile for your field officers. Keep this page handy, as you might need to return and modify the profile to suit your needs. You may also choose to clone this profile and then edit it. Giving different profiles to different team is helpful in many situations. What is a Partner Community?